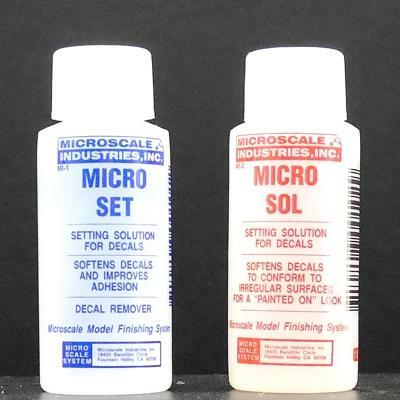 Micro Sol setting solution is for the most difficult irregular surfaces you find on models. It completely softens the decal allowing it to drape down onto the surface of the model conforming perfectly and without distortion. You can get the most amazing results in seemingly impossible places, because Micro Sol actually makes the decal part of the paint. For that reason you should coat Micro Sol on for only a few seconds and then leave it alone, it does the work. Do not touch until dry, as the decal is very soft at this stage and could be easily damaged.